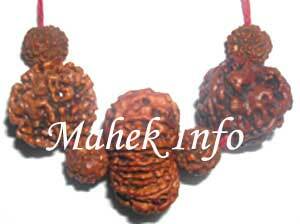 Four Mukhi Rudraksha is ascribed to the Lord Brahma and devotes all the four Vedas. It gives Dhram, Arth, Kaam & Moksha. 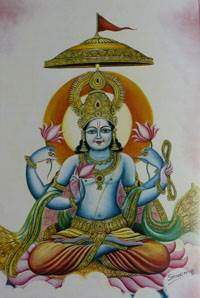 The use of this dispels mental worries and ailments; one becomes spiritual and is blessed with wealth, good health, intelligence and power of speech. It dispels worries and enhances spirituality. It is also used in Vashikaran, Akarshan purposes. If one boils it in milk and then takes the milk, even a dull person becomes intelligent. 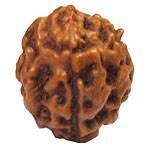 Four-faced Rudraksh is Brahma himself and removes sins of even human killing. This is especially beneficial for natives born in Gemini or Virgo Lagna. 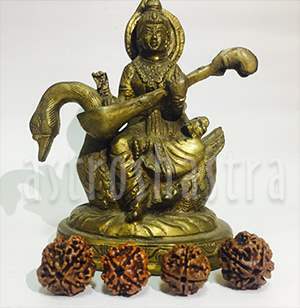 Char mukhi nullifies the malefic effects of Mercury and pleases Goddess Saraswati. It also governs logical and structural thinking. This bead helps achieve a healthy mind and body. It can help increase mental power, intelligence, concentration and knowledge. 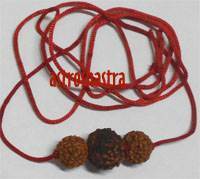 All types of learning become easier to the wearer of this Rudraksha. Such a person gains deep insight and perceives the secrets of religion easily. Lord Rudra is very much pleased with its wearer. 1. Gives Power to Planet Mercury in Chart. 2. It gives knowledge and sharpens the brain. 3. 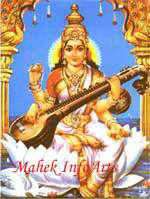 It is useful for Doctors, engineers, research scholars, teachers, astrologers, students. 3. 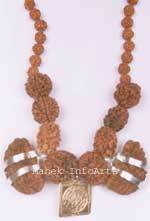 Most important for students , if worn with Twelve mukhi for intelligence and self confidence. 4. It balances the thought process, from negative to positive. Planet Mercury helps to learns discrimination and proper use of intellect. It is convertible and variable, dualist, neutral. Mercury will prove benefic when conjoined, aspected etc. by benefic and when conjoined, aspected or afflicted by malefics, it acts as a malefic planet. The Mercury signifies senses, intelligence, educations, analytical, research, short travels and journey, logic, wisdom, steadfast and reliable, steady growth in all undertakings. It gives general success, liberal, good judgement, enterprising, virility, courage, ingenuity, refinement, artistic taste, cheerful temperament, clever, shrewd, reserve, prudence, judicious, fortunate tendencies, occult science, versatile, good mathematician, intuitive power, moody, talkative, orator, speech, good memory and methodical approach, careful, writing and editing. Apply intelligence for spritual and selfless purposes. Sublimate the intellect to intution. Learn to deal honestly in business. Malefic effects of Mercury include intellectual dullness, lack of grasping and understanding power, difficulty in effective communication and also neurotic conditions of the mind. It is one of the best remedy for Mercury. If the Rudraksha is boiled in milk and that milk is taken for 20 days. It gives knowledge and clarity of mind, it is said by wearing it, the ill evil thoughts arising in one's mind are destroyed. 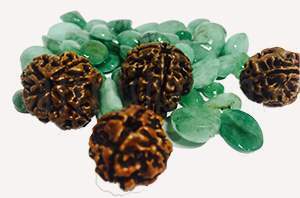 4 mukhi is especially important for the students and scholars. This should be worn on Monday facing North or East. The bead cleaned by Ganga Jal, worship it and meditate on lord brahma and shiva before wearing it. 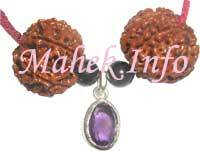 Char mukhi rudraksh can be worn in Gold , Silver or Copper Pendants. It can be worn with any other bead. 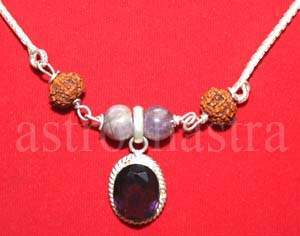 It is very effective if worn with Emerald, Budh Yantra, Saraswati Yantra, Gayatri Yantra silver pendant. It should be worn only after being energized by its mantras. 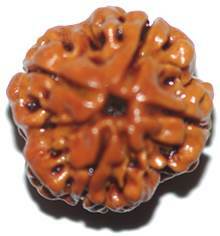 Char mukhi is also used in vasikaran, akarshan i.e. attracting others. If worn with Silver Vashikaran Yantra Pendant , the power of vashikaran and 4 faced are increased manifolds and results are extreamly powerful.